The latest Bethard Casino promotion sees players fighting for 50 cash prizes between Thursday 2nd August and the end of Sunday 5th. Simply complete missions whilst playing some fine Quickspin games, and jump up the leaderboard. The 50 most successful players win cash prizes, with the overall leader snagging £15,000. This is a great casino race mechanic, which is much more fair than many others. It is not simply a case of the person who pumps in the biggest amount of cash winning, it’s entirely down to what happens during your games. So settle yourself in front of Bethard Casino, launch the eligible games for the Rebels Race, and spin to win. Find out what prizes are available in this Bethard Casino promotion, and how to win them, below. You can win cash prizes worth between £90 and £15,000 in the Rebels Race over the coming weekend. All awards come in cash form, meaning there are no wagering requirements. If you like, you can withdraw the funds straight away and stick them in your bank account. Alternatively, you could keep them in your player account and use them to fund your play at Bethard Casino. The top prize of £15,000 could change your summer plans dramatically. Imagine having that amount drop into your bank account. If you haven’t yet planned to go away, you could jet off somewhere tropical. Maybe a jaunt to the Bahamas or Hawaii. Perhaps you fancy somewhere where you can immerse yourself in history and culture, like Thailand or Japan. Alternatively, £15,000 would be a decent car to replace your current ride. It might also help you set up that business you’ve always dreamt about, but never achieved because you didn’t have the backing. You could use it for the deposit on a house, to redecorate your current place or to sort out your garden so you can enjoy barbeques in splendour towards the end of summer. What you do with the cash is completely up to you. Even a sweet little pick me up of £90 could fund a meal and a couple of drinks, were you to win it this weekend on this Bethard Casino promotion. It’s simple to enter the Rebels Race this weekend. All you need to do is play one of the eligible games and you automatically opt in. The more often you hit key missions in the games, the more points you rack up and the higher you jump up the leaderboard. But, first things first, you need to sign up with Bethard Casino. Follow the link below to visit the site and hit the Casino link. Sign up by adding in your details and confirming your new account. From there you just have to deposit casino funds and you are ready to play. 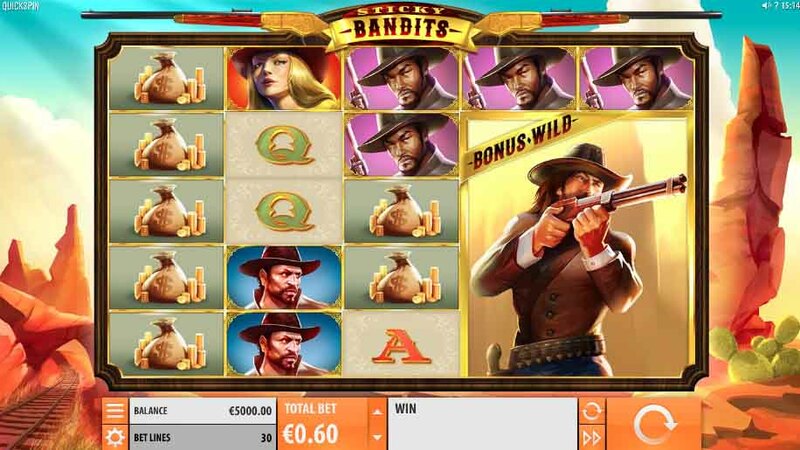 The eligible games for this Bethard Casino promotion are all by Quickspin, a Playtech company. 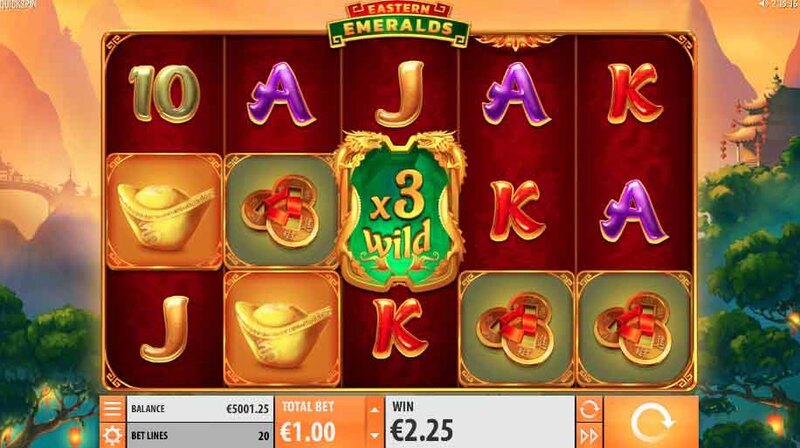 The subsidiary is heavily associated with Bethard and produces, in it’s words, “the world’s most awesome slots”. The titles you need to concentrate on are Eastern Emeralds, Dwarfs Gone Wild, Goldilocks, Pirate’s Charm and Sticky Bandits. Now to score the points! You earn five points every time you land a Scatter in any of the above games, when you play between 11pm BST on Thursday 2nd and 10:59pm BST on Sunday 5th August. 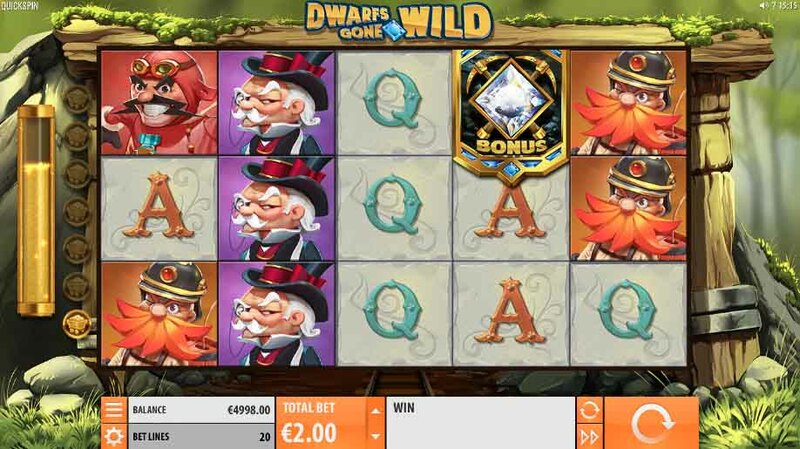 If you trigger the free spins round, you collect 50 points. All play between these two times is valid, as long as you stick to the five titles, and there is no limit to the number of points you can rack up. The minimum bet is the lowest coin value of the individual game you are playing, but you must use the maximum number of paylines. The leaderboard is made up of the 50 players with the largest points totals accumulated during the promotional period. Bethard credits cash prizes to your player account and you need to log in within 30 days to claim it. Why Play at Bethard Casino? At first site, Bethard is very much geared towards its sportsbook. However, behind that lies a decent casino. The fact that the Bethard Casino promotion section features a couple of nifty offers for existing players puts it ahead of many new casino sites already. The welcome bonus is more like that of a sportsbook, but actually that is refreshing in a casino. You earn £5 every time you stake £100, but here’s the kicker – it’s wagering requirement free. This just doesn’t happen at casinos usually and it’s certainly worth looking at. The most you can claim is £50. The customer service is spot on, and it boasts some exclusive games, which will appeal to old hands. Basically, it’s a site that has a lot going for it. So hit the link below and join up today.